Third parties (anyone other than Husband and Wife) may be “joined” as parties to a divorce, legal separation or annulment case in San Diego. In general, joinder is permissible if any third person or entity has control over an interest which is a subject in the case. The issue of joinder often comes up in cases where a spouse’s interest in a state, city, or county retirement plan is in dispute. There are two theories under which a third party may be joined in a divorce case: permissive joinder and mandatory joinder. In a few cases, joinder of third parties may be mandatory if the court determines the third party is “indispensable” to the action. In a divorce case where custody and visitation of a minor child is in dispute, joinder of any person with physical custody or claiming custody or visitation rights is mandatory. Husband, Wife, or the third party claiming custody or visitation rights may petition the court for joinder. Additionally, where property division of an employee benefit plan is in dispute, the employee benefit plan must be joined in order for the court to issue an enforceable order against the plan. Different rules may apply to any Federal entities. In most cases, joinder of third parties is only permissive. In a permissive joinder case, the court has discretion to order joinder if it would be appropriate. Under the California Rules of Court, joinder would be appropriate if a third party is “indispensable” to the determination of an issue in the case or “necessary to the enforcement” of any court order rendered on that issue. The impact of the issue on the entire case. Whether joinder would delay the divorce unnecessarily. Whether joinder would over complicate the proceeding or otherwise interfere with the case. It is common in divorce cases for third parties to have an interest in community property. However, it is not mandatory for the trial court to join those parties. The standard for review in that instance is “abuse of discretion”. Whether you are curious about property division in divorce, or have questions regarding premarital agreements, don't settle for less when determining your rights. 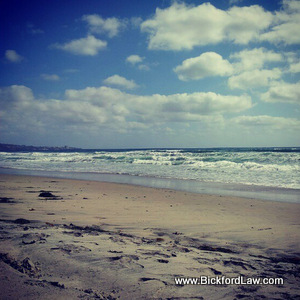 Contact Bickford Blado & Botros at (858) 793-8884 if you are considering consulting with a divorce lawyer. Ms. Bickford is the only lawyer in San Diego County representing clients who is a Certified Family Law Specialist (CFLS), and who is actively licensed as a Certified Public Accountant (CPA).